The Trans Adriatic Pipeline (TAP) is a proposed 870km long natural gas pipeline that will run from Greece to Italy, via Albania and the Adriatic Sea. The route will link Europe to a new gas source in the Caspian (Shah Deniz II). "The pipeline is designed to carry 10bcm of gas a year at the initial stage and will have the potential to increase the capacity." TAP is owned jointly by BP (20%), SOCAR (20%), Statoil (20%), Fluxys (16%), Total (10%), E.ON (9%), and Axpo Trading (5%). EGL Group, now known as Axpo Trading, and Statoil Hydro established a joint venture (JV), which was followed by an agreement to develop, build and own the TAP project. The $1.8bn project is expected to contribute ten billion cubic metres (bcm) of gas annually upon its completion. It will also have a provision for expansion to transport up to 20bcm of gas each year depending on the demand. The environmental and social impact assessment (ESIA) report of the project was submitted to the Albanian authorities in June 2012 and approved in April 2013. The ESIA report was submitted to the Italian Ministry of Environment in March 2012. Construction of the project began in May 2016 and the pipeline is expected to come online by 2019. The governments of Italy, Greece and Albania signed a tri-lateral intergovernmental agreement (IGA) in February 2013 to implement the TAP project on time. The Italian Parliament approved the ratification law on the IGA in December 2013. The project aims to enhance the security and diversification of gas supplies in the European market. It will result in the development of energy infrastructure in the region and also contribute to economic development. The Trans Adriatic Pipeline will run for approximately 478km in Greece, 204km in Albania, 105km offshore in the Adriatic Sea and five kilometres in Italy. The Italian section will run for 45km offshore too. "EGL (now, Axpo Trading) and Statoil Hydro in 2009 established a JV, which was followed by an agreement to develop, build and own the TAP project." The pipeline will also be connected with the Trans Anatolian Pipeline (TANAP) near the Turkish-Greek border at Kipoi. At its highest point the pipeline will rise up to 1,800m in Albania, and reach its lowest point at 810m in the Adriatic Sea. The proposed route is the shortest possible route in the southern gas corridor. The pipeline is designed to carry 10bcm of gas a year at the initial stage and will have the potential to increase the capacity up to 20bcm annually. The onshore section of the pipeline will be built with 18mm-thick steel pipe of 48in diameter. The offshore section will have a diameter of 36in and will constitute between 25mm and 36mm-thick steel pipes. The total weight of the pipeline will be approximately 300,000t. The TAP will have two compressors, one in Greece and the other on the Albanian coast. A pipeline receiving terminal (PRT) and a combined pressure reduction, metering and pigging station will be built in the province of Lecce. It will be linked to the Italian grid. The onshore pipeline will be constructed and assembled in a conventional way. First, a channel will be dug and then 12m pipes will be joined to the pipeline string, which is placed lower in the channel. Specialised techniques will be used to cross the roads and rivers. The offshore pipeline will be laid with the help of an S-type barge, a special vessel. The 12m-long pipe will be joined to the pipeline string on the deck of the barge. The vessel will then move forward and the pipe string will be laid to its rear in to the water. The proposed route contains landfalls in Italy and Albania. Specialised equipment will be used while pulling the pipe towards the shore in these areas, so that the environmental impact will be minimised. Royal Haskoning was selected to perform land easement and acquisition (LEA) activities in September 2013.
echnip received the project management consultancy (PMC) services contract for the project in July 2015. Siemens was awarded a contract to provide six gas turbine turbo compressor units for TAP, in September 2015. Corinth Pipeworks secured a contract to provide approximately 495km of 48in diameter line pipes for TAP in Greece. A Enereco and Max Streicher JV secured a contract for the onshore pipeline in Italy in December 2015. 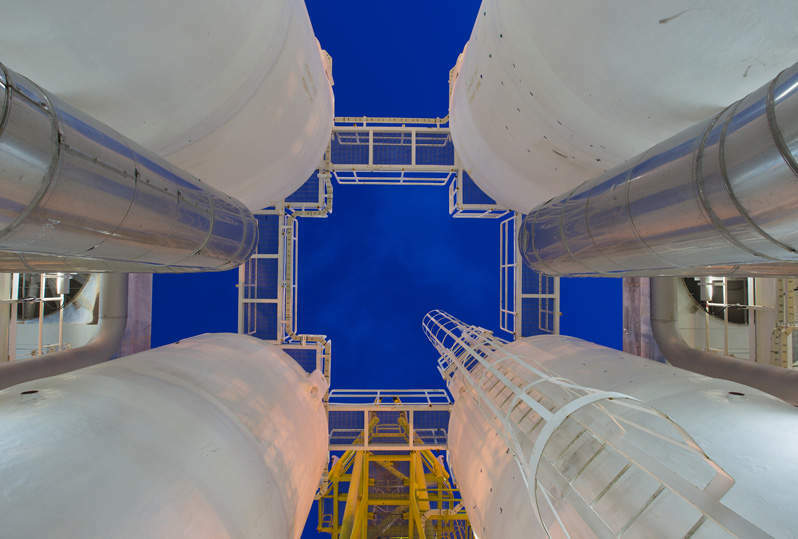 Renco received a contract for the pipeline receiving terminal to connect TAP to the Snam Rete Gas network. Himachal Futuristic was awarded a contract to supply and deliver approximately 1,550km of fibre-optic cable to the TAP. The Greek Ministry of Environment and Energy issued installation permit for the construction of pipeline in June 2016. Salzgitter Mannesmann secured a contract to supply 36in offshore line pipes for the 105km section of the pipeline across the Adriatic Sea. Saipem was awarded an engineering, procurement, construction and installation (EPCI) contract for the offshore section of the project in April 2016. Spiecapag secured an EPC contract for three lots of onshore gas pipelines under the TAP project, in March 2016. ArcelorMittal is responsible for supplying more than 75,000t of hot-rolled coils (HRC) for the TAP. TAP and its shareholders Axpo Trading, Statoil, Fluxys and E.ON Ruhrgas has signed a funding agreement with Shah Deniz consortium for the pipeline project. The consortium includes BP, SOCAR and Total. The fund will be used for the construction of supporting infrastructure in important areas of the project. The TAP will supply the gas from Shah Deniz II field located in Azerbaijan. Additional funds will be raised from multilateral and bilateral institutions, such as European Bank for Reconstruction and Development, the European Investment Bank and the Export Credit Guarantee agencies of OECD countries. Commercial banking sectors, financing institutions and commercial banks are also expected to provide funds for the project. Oil and gas pipelines are branching out, as more and more countries rely on imports for their energy supplies. From the Keystone XL to the Rockies Express, hydrocarbons-technology.com lists the longest pipelines in the world. Pipeline systems are the backbone of the critical infrastructure of any country. Accidents related to such systems can have severe consequences to the environment and people living in the area, and can involve years of legal proceedings against operating companies and those responsible. Monitoring long linear assets such as pipelines has always been a balance between labour-intensive guarding, periodic point sensors / CCTV, and costly practices such as flying the line. Now, OptaSense Distributed Acoustic Sensing (DAS) technology has arrived as a highly effective and economic means to monitor and manage the security and safety of pipelines worldwide.